Insanity is one of the most well-known workout program from Beachbody. It brings Shaun T as the personal trainer to train your body. However, there is the new Insanity Max 30 which is also led by Shaun T, featuring more intense moves and a more comprehensive nutrition guide. 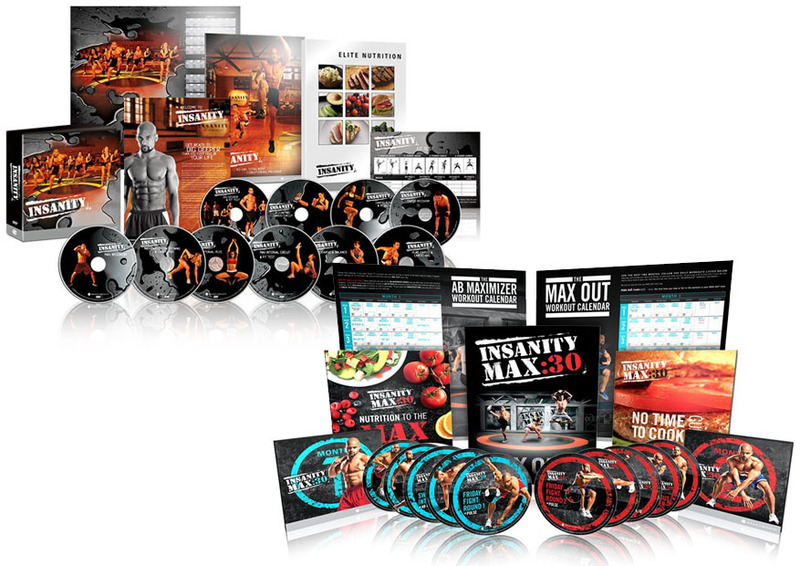 So, what are the differences between Insanity vs Insanity Max 30? Quite similarly, Insanity and Insanity Max 30 each have a 60-day training schedule. They each also have two different phases. However, Insanity and Insanity Max 30 have different workout durations. The new Insanity Max 30 is great for dedicated people who have very little time. Each workout session here only takes about 30 minutes – that’s half the duration of the original. So, it can be used by anyone. You should be able to slip it into your tight schedule. In Insanity Max 30, there are just three moves that each lasts for about 30 seconds, without any break. Since it does not give you any break, this workout may feel more intense and demanding. It will greatly train your stamina and endurance. The next difference between Insanity vs Insanity Max 30 is regarding the moves; the new Max 30 comes with entirely new moves. Most of the moves are harder, although they may feel harder only because you get no break during the exercise. It will make you move all the time to do different kinds of exercises. It will also constantly change from a standing move to a floor move and back to a standing move – the changes will prevent your body from getting used to the same moves. Nevertheless, the Max 30 does incorporate more types of moves. For example, there are more strength and resistance moves. Combined with the short yet highly efficient training bursts, Insanity Max 30 can easily make your muscles much more pumped. This workout also includes Tabata-style training moves, too. The original Insanity does not focus very much on the nutrition aspect. It even allows you to skip the nutrition guide altogether, so that you can just pick a meal or two when you are very busy. However, some people have criticized the meal plan. That’s why the new Insanity Max 30 comes with a more comprehensive nutrition guide that is very easy to follow. In the original Insanity, there are periodic fit measurement tests throughout the weeks. However, Insanity Max 30 has replaced the periodic tests with the Max Out Training. This training is not specifically scheduled; instead, you can take it whenever you want and do it as long as you can. When you are unable to perform it any longer, you write down the duration. You can compare your durations over some time to monitor your progress. In general, Insanity Max 30 is a better workout program because it also controls your nutrition for healthy meals. The more intense moves will also train your body more effectively. The relatively short duration makes it suitable for all people. However, if you have more time to spare and you are unable to keep up with the intense training, you can choose the original Insanity as the alternative.